More Americans are finding relief through alternative forms of health care, and hospitals have increasingly expanded programs in order to attract this patient base and optimize care options. CAM (Complementary and Alternative Medicine) in traditional medical facilities is growing rapidly. The Journal of the American Medical Association states that 42 percent of U.S. adults surveyed receive at least one of sixteen alternative therapies. The most commonly stated fear of patients prior to elective surgery is not death or a surgical mishap – it is post-operative nausea and vomiting. Acupuncture can ease postoperative nausea and vomiting. 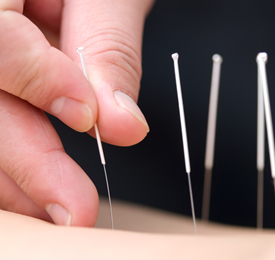 Acupuncture is a growing trend in sports medicine. Athletes use it to relieve tension, promote healing and prevent injury. Acupuncture is often reimbursed through the typical Health Savings Account plan offered by many employers and insurance companies these days. Acupuncture is one of the best known of the entire alternative and complementary therapies in use today. Having been in practice as a system of medicine for more than 2500 years, a growing body of research from Western medicine is now helping us understand the way acupuncture works in the body as well as confirming the efficacy of acupuncture as a valid medical treatment for a multitude of issues. Because of its long history of use, safety and success in treating patients, many people who are seeking improved health and resolution of pain choose acupuncture. It is a practice that is based in traditional Chinese medicine (TCM) and is thought to regulate the flow of energy throughout the body. By maintaining normal flow of energy, or “qi” (pronounced chee) through channels (meridians) in the body, acupuncture helps prevent illness, treat diseases and improve a person’s overall quality of life. Research in western medicine is demonstrating that stimulation of these specific acupoints creates a reflex in the brain to produce the body’s own pain reduction, immunological and anti-inflammatory substances.